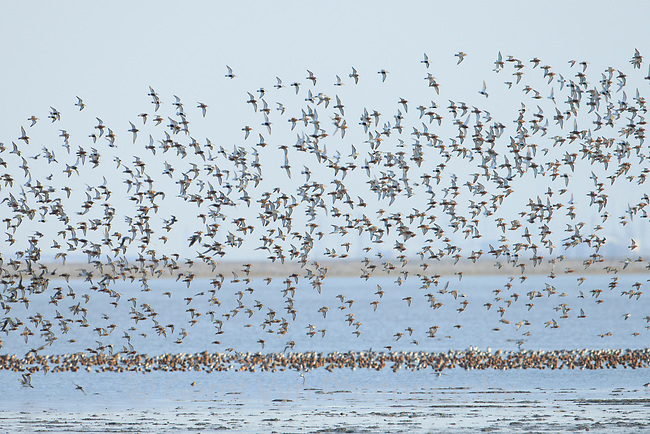 Flock of Curlew Sandpipers (Calidris ferruginea) and other shorebirds. Bohai Bay, China. May.